Let the beach come to you this summer! Who doesn’t feel like going to the seaside when it’s sunny? For some of us land-locked city residents though, this can present a significant number of obstacles both geographically and logistically. So here’s an alternative…why not head to one of London’s many urban beaches instead and enjoy the sunshine (and an ice cold beer or cocktail!) while the kids entertain themselves with their buckets, spades, ice-cream and all manner of other beachy activities. Okay, we’ll readily admit that an urban beach is not quite be the same as the real thing but at least you can bet your bottom your bottom dollar there will be fewer seagulls trying to steal your ice-cream! 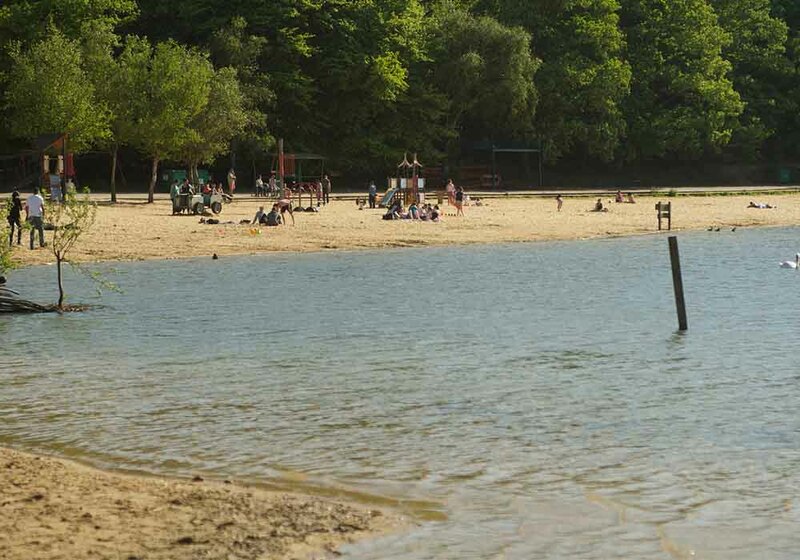 A 60 acre lake situated in a nature reserve, this beach is here all year round and is a great spot for families. There are two playgrounds, one of which features an 18 metre-long wooden pirate ship and there’s also a splash pad which is open April-Sept from about 10am until the evening, when the water is switched off. Kids can build sandcastles and play but note that swimming in the lake is not permitted and the beach itself is a dog-free zone. There is also a small railway which you can hop on for a tour round the lake. Find out more here. When? Year-round but opening times change: May-August 9am-9pm, September 9am-7pm. See here for further opening times. Cost: Free. There is some limited parking nearby which costs £5 per day from May-August. The railway fares start at £1.50 for a child and £2 for an adult. 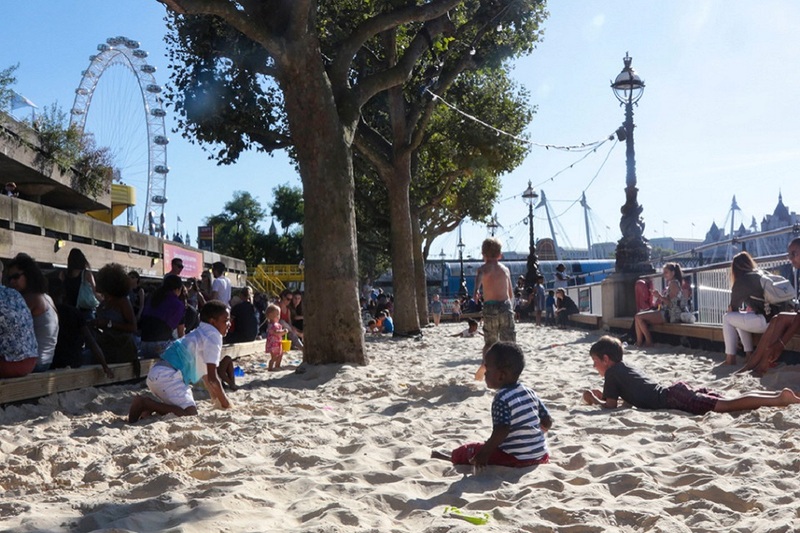 With 85 tonnes of sand, the Southbank Beach is a great place to stop-off with the kids on a sunny day in London. Southbank in general has got so much on offer, from the Underbelly festival through to food and market stalls, but for some sweet downtime in the sunshine, this urban beach is a must-visit. You could quite happily spend several days at The Beach Brent Cross, there’s that much to do there. Rides, a brand new WaterWars water balloon game (uh oh! ), splash pool and of course, sand! 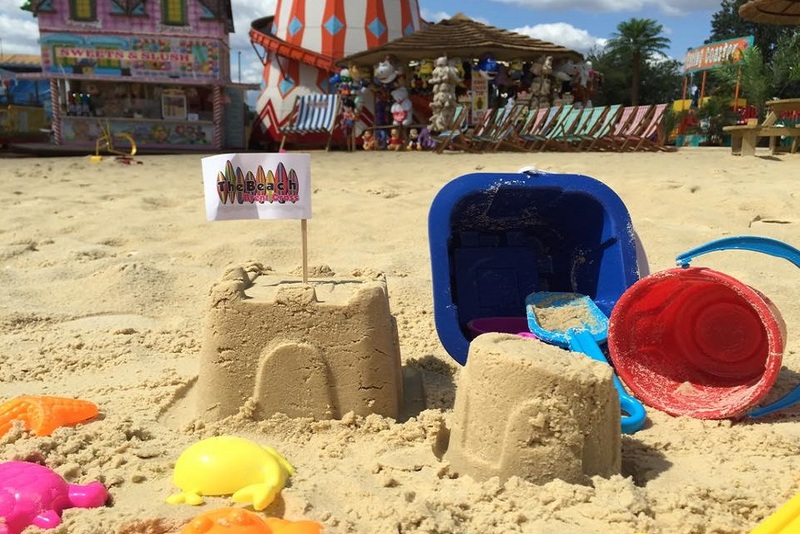 There’s also a number of events on over the summer, including Punch & Judy shows in true Brighton-beach style fashion and screenings of various sporting events, including the World Cup, Ascot, Wimbledon and the F1. There are a number of different food & drink options inside but this venue also allows you to bring in your own picnic or food purchased from Brent Cross shopping centre. Cost: £3 for Adults and children over the age of 3. Be aware that you also need to buy tokens for rides which are £1.20 each or 10 tokens for £10. 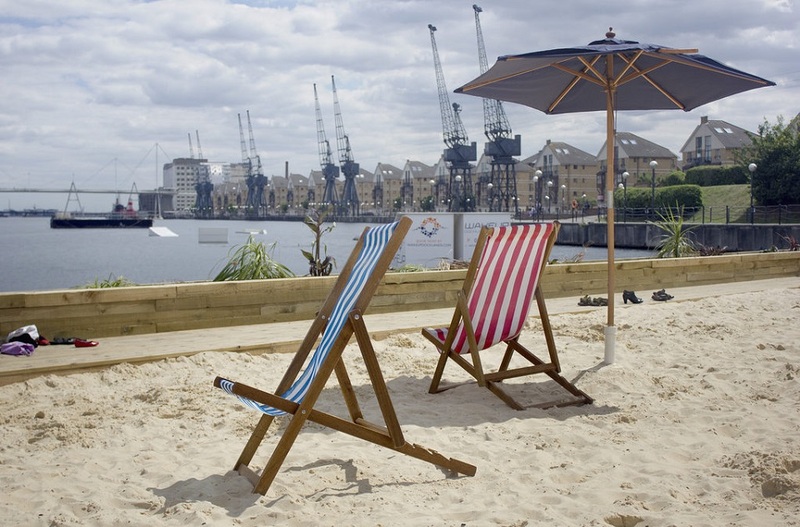 London’s Royal Docks offers a lovely stretch of sandy beach for families to relax and play on and enjoy an ice-cream. Whilst there isn’t a splash pool to cool off in, you are at least right on the water’s edge and there is plenty to do around here for families. Why not take the Emirates cable car over the water to The O2 and enjoy the cinema, myriad of restaurants or head to Sky Studios, where you can enjoy a virtual reality experience with characters from favourite kids movies!